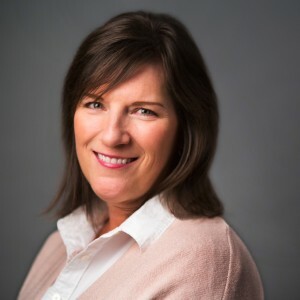 Margaret is the Founder of Over The Moon Parenting (formally known as New Arrival Educators, a perinatal education company located in the greater Boston area and online). In 2014, Margaret partnered with Tufts Medical Center in Boston, Tufts Women’s Care South in Braintree, and MetroWest Medical Center in Framingham, to provide their perinatal education programs. By 2015, she proudly added two more valuable programs supporting new parents: 1) New Parents Work Program, a perinatal education and support program, provided as a wellness benefit by companies to their new parent/employee, and 2) Breastfeeding Support Program offering breastfeeding education classes and lactation support by phone, Skype or home visits by IBCLCs from Greater Boston and the South Shore. In 2016, the Blog was launched, providing even more advice and guidance from the New Arrival Educators Team. On November 1, 2016, Margaret renamed the company Over The Moon Parenting and opened Over The Moon Parent and Child Enrichment Center in Norwell, MA to offer comprehensive expert education, support and community to new families on the south shore from pregnancy to preschool, including childbirth, newborn essentials and breastfeeding classes, new mom and baby groups, enrichment classes in child development, art and music for caregivers to enjoy with their child, parent workshops, and a Toddler Playschool. Then, added a free, weekly drop-in breastfeeding group, infant & child CPR classes, AHA CPR certification classes and fitness for expectant and new mothers. Steadfastly dedicated to growing families, she built Over The Moon to offer a wide variety of services for parents, grandparents, caregivers, and the little ones they love. On September 5, 2017, Over The Moon Parenting welcomed families to their brand new center at 15 Farrar Farm Road in Norwell. Margaret’s gift is guiding families through the transition into parenthood. With over 25 years experience as a Registered Nurse and 15 years experience as a Certified Childbirth Educator. Preparing mothers-to-be and their partners for labor, birth, and the first weeks and months home with a new baby is Margaret’s passion. As a Registered Nurse, she knows that knowledgeable and empowered patients often experience less fear and anxiety during birth, and feel more confident and secure with their newborns. As a wife and mother of three, she understands the many challenges new parents face.She aims to smooth the way with gentle guidance, trusted advice and emotional support. Margaret teaches new mom and baby groups at Over The Moon. Prior to New Arrival Educators and Over The Moon Parenting, she was the Childbirth Education Program Manager for Isis Parenting in Boston, Massachusetts and was responsible for 23 class locations in 3 states, including major medical centers in Boston, Atlanta, and Dallas/Fort Worth. ​Margaret also worked as an Early Parenting Educator at Isis Parenting; as a Maternal-Child Staff Nurse, Childbirth and Early Parenting Educator at South Shore Hospital, Weymouth, Massachusetts and as the Assistant Nurse Manager of a High Risk Antepartum and Postpartum Unit at St. Francis Medical Center in Hartford, Connecticut. She began her career as a Staff Nurse at Massachusetts General Hospital after earning her Bachelor of Science from Boston College and later her Masters in Nursing Administration from the University of Connecticut.